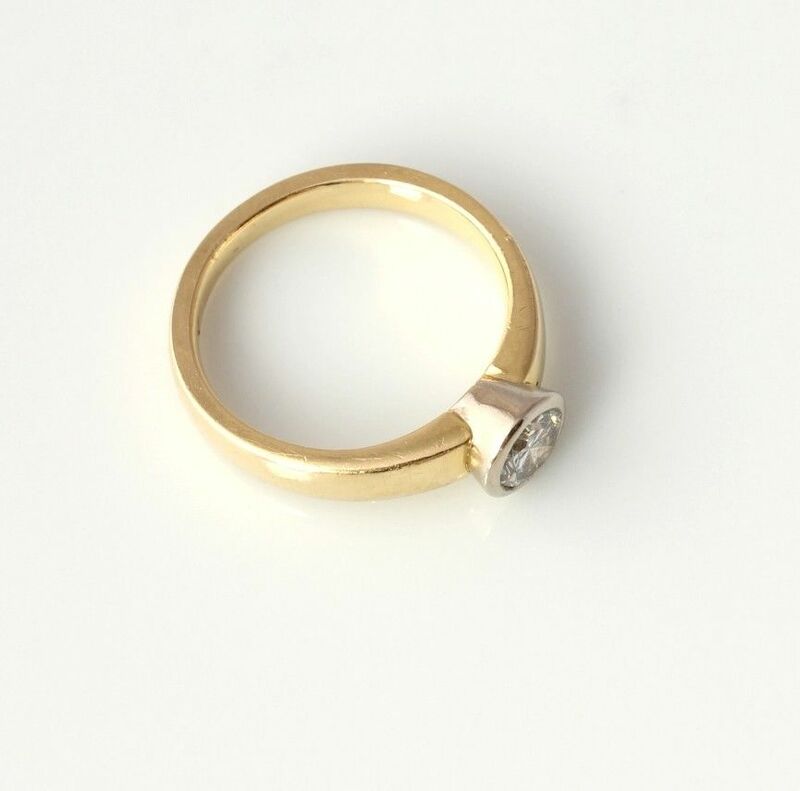 This high quality and heavy ring is crafted in 18ct gold, has tapered shoulders and is set with a brilliant cut natural diamond of 0.54 ct in a white gold rub-over mount. The diamond which is fully certified is clear, sparkly, bright and would make a really wonderful Engagement ring. 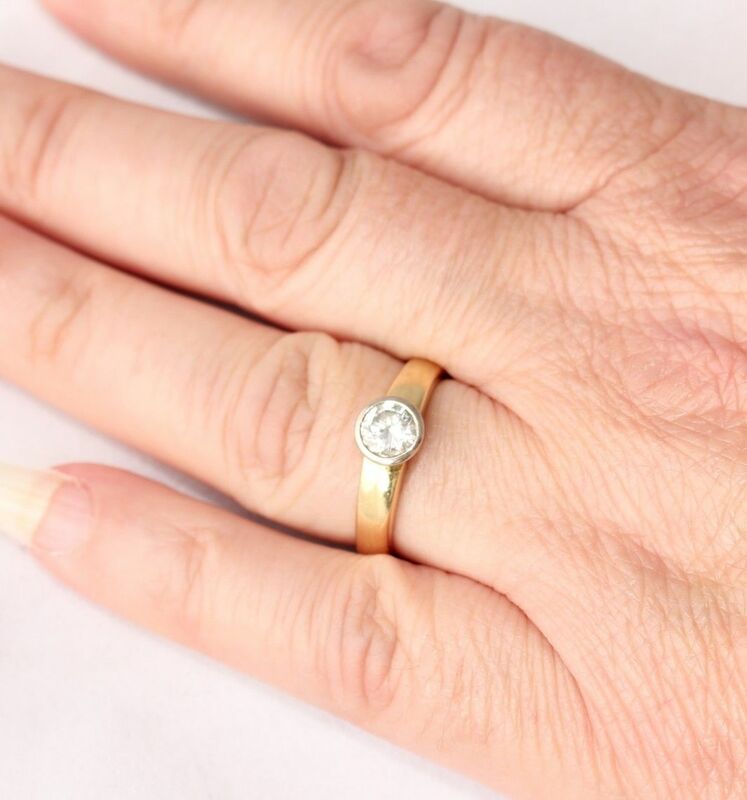 This ring retails new on the high street for between £4000 - £4500 so this is an incredible saving on new and would make a really wonderful Engagement ring. 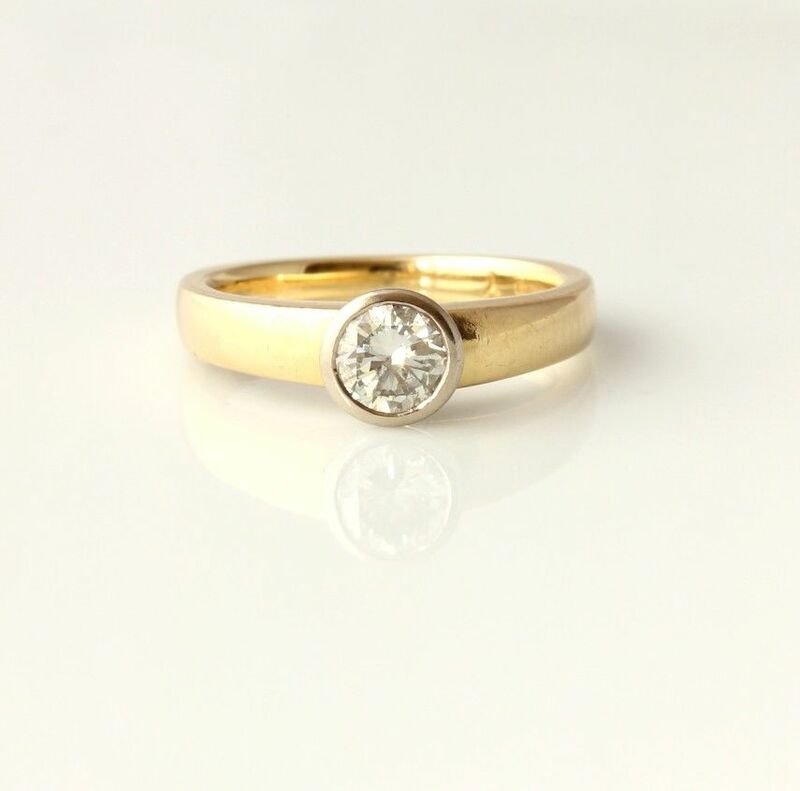 Materials: 18ct band. 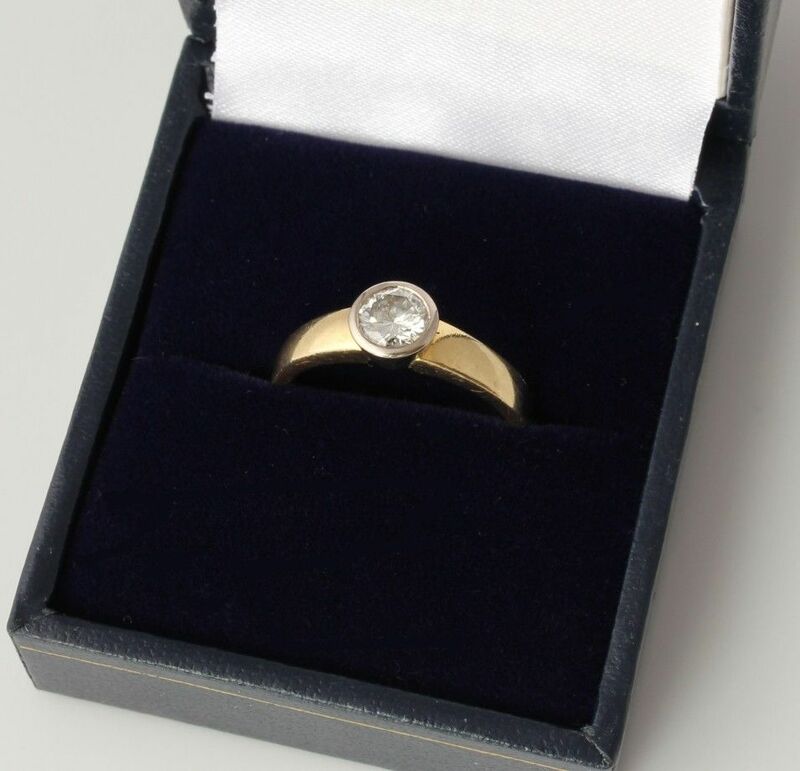 Natural diamond 0.54ct. 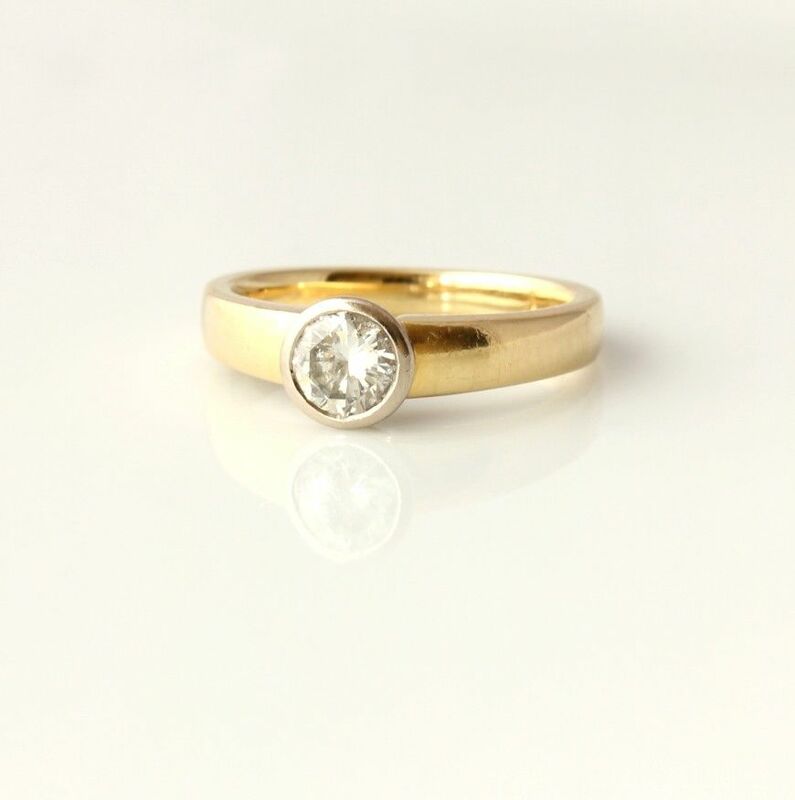 Hallmarked: Full UK hallmarks for 18ct gold. 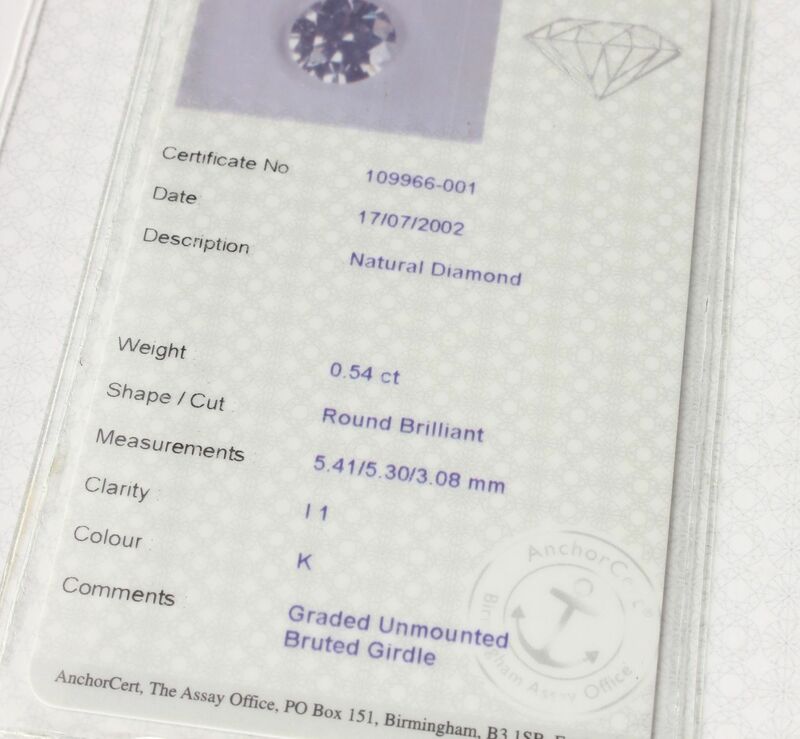 Diamond details: Comes with an AnchorCert report 109966-001: Colour: K. Clarity: I1. Condition: Excellent condition. Diamond is bright and sparkly. Diamond is AnchorCert certified and comes with the AnchorCert certificate. Professionally cleaned and ready to enjoy. Please see pictures. Comes in ring box.